It has been so long since my last post that the pictures I include in this post are soon to be outdated (some already are). 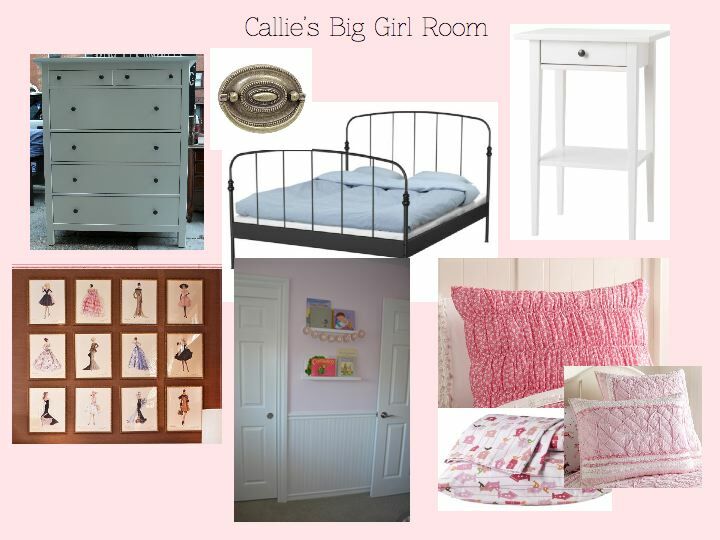 We are beginning to transition Callie from her nursery into her big girl bedroom. 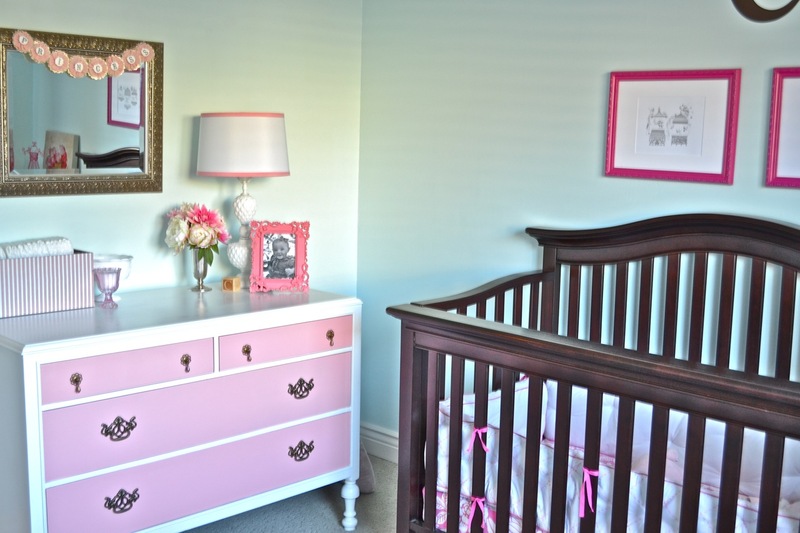 Thus far we have painted the room a soft pink, added bead board wainscoting, moved in Mason’s old twin bed and changed out some artwork (twice). We moved the crib under the window to accommodate the twin bed. Callie still stays in her crib without trying to escape so we aren’t in a huge hurry to put her in a bed just yet. I spray painted the curtain rod antique brass to match the rest of the room’s decor. It’s sort of vintage and fun! 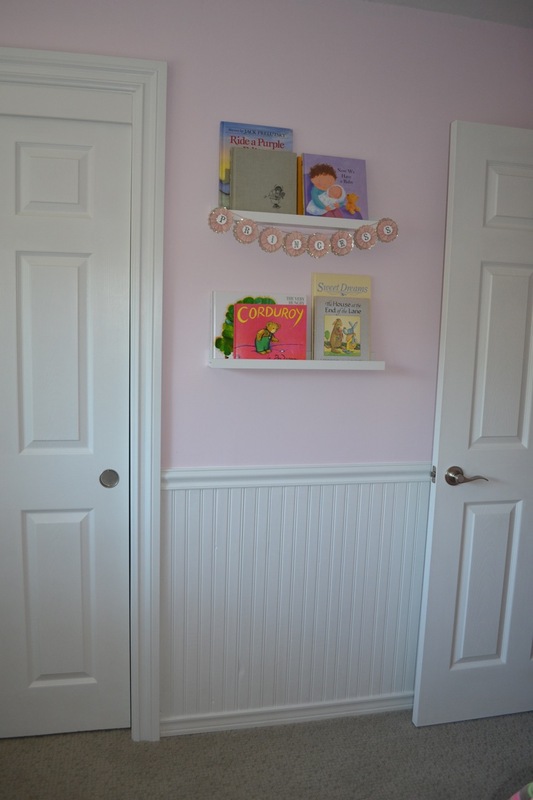 Below is the best shot of the bead board wainscoting. The room is a bit crowded with furniture at the moment. The artwork in this shot has already been replaced. Yes, I know, I change my mind WAY too much. I am my own worst critic and many times when I create artwork on my own I don’t like it and swap it out. I found the wooden tree on clearance at Home Goods for $15. It was the perfect color pink for her room but it was stained and dirty so I had to repaint it (a similar shade to the original). The flowers on the wall are from Target and I spray painted them antique gold (they were silver originally). The name art is an old frame I spray painted and a decal I purchased on Etsy. 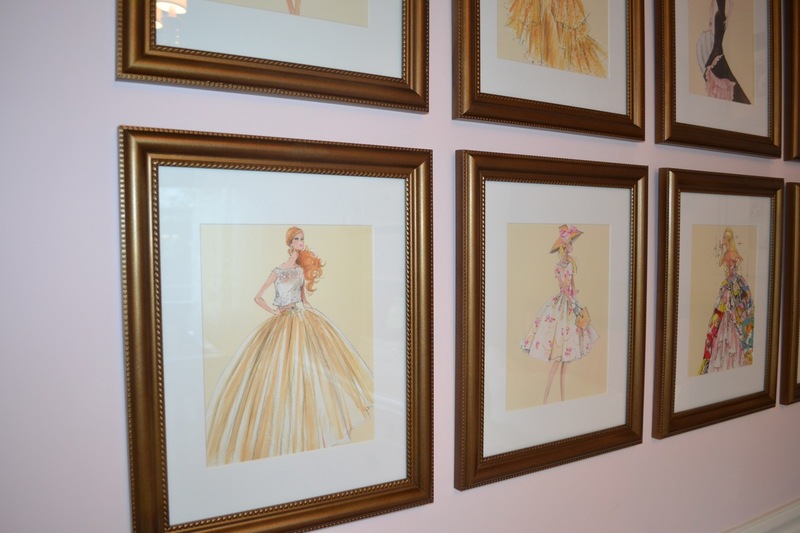 So after staring at my handy work in Callie’s room for weeks I saw an idea on Pinterest for vintage Barbie artwork. I can’t afford to buy the framed prints so I purchased the 2013 Barbie calendar, cut the prints apart, framed and matted them. The frames were $5 each at Walmart and I spray painted them antique brass. The mattes were $3 each at Michaels. You can see my inspiration below. This is how the frames look in Callie’s room. I only framed eight prints since I wasn’t in love with all twelve prints. In more than a few of them Barbie has her eyes closed which I find super weird. I tried to avoid framing those. I LOVE how it turned out! 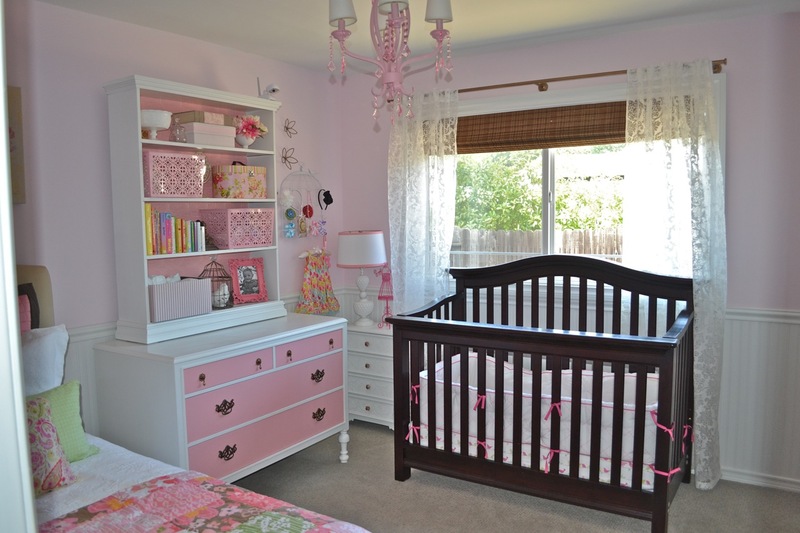 So we will move Callie out of her crib in the next few months. I have been carefully planning the furniture choices for her small room. Below is my inspiration board for whats to come.